A recent article in the Toronto Star and its accompanying photo bear comment. 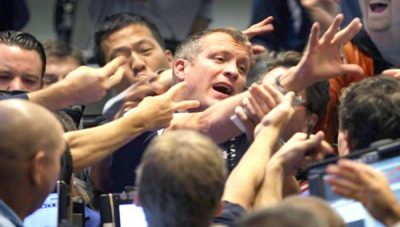 The reaching hands are not of rioting, starving people grasping for food but of stockbrokers on the trading floor. The article, about protecting individual portfolios, counsels people to know of their options though “the majority of investors have little or no understanding of puts and calls and, in most cases, don’t want to be bothered.” A number of practices keep the public uninformed, including a plethora of neologisms that defy comprehension, lack of transparency, and skewed computations that omit life’s crucial externalities. Economics has been called the “dismal science,” but “abysmal” more fittingly describes its deadly impact on people worldwide. The Canadian Pension Plan (CPP) is believed by many to represent the caring face of Canada, while it is lauded as the “New Masters of the Universe” and “Maple Revolutionaries” by the OECD, G20, and the World Bank. It is no exaggeration to state that the CPP is “banking on death,” the title of Robin Blackburn’s comprehensive history of pensions. The Coalition to Oppose the Arms Trade lists CPP investments in seventy three corporations (and here) supporting Israel’s military/police/surveillance/prison industrial complex. 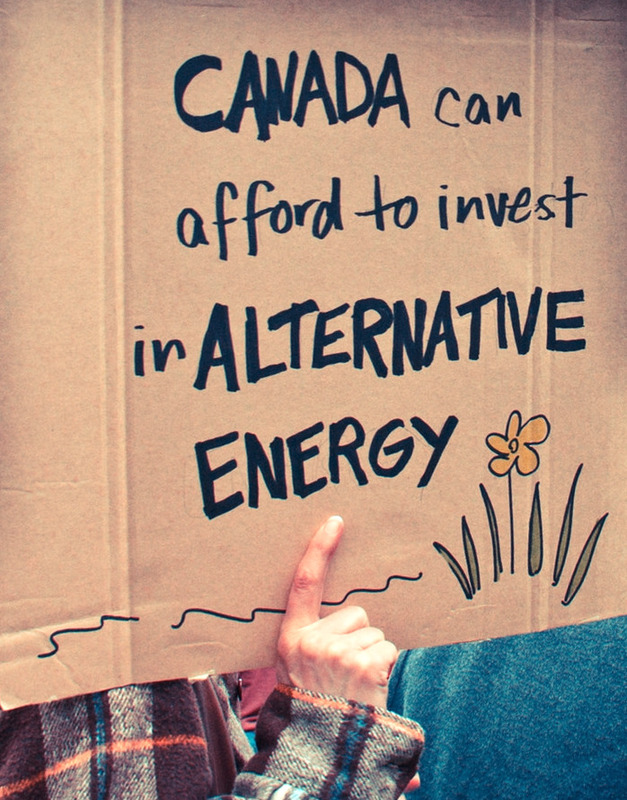 The CPP is also a big investor in nuclear weapons and in Canada’s fossil fuel and mining sectors which are wreaking havoc in indigenous communities worldwide. At its core is the pricing of human life in the capitalist system. George Monbiot succinctly explains it in his article about Britain’s chief economist Nicholas Stern’s influential report on climate change and the economy: Stern calculated that Heathrow airport expansion makes economic sense because it lessens the time that a rich person has to wait for a flight as his time is worth much money, so this wealth far outweighs the monetary loss if many impoverished people die due to aviation’s carbon emissions. In 2016, private pension assets in OECD countries reached their highest-ever level at over $38-trillion (U.S.). Pension funds are part of a closed political economic system and its facilitating legalities. Representative are the links between the CPP, Imperial Oil, universities and think tanks, and the UN Declaration on the Rights of Indigenous People (UNDRIP) to “free, prior and informed consent.” While information is essential, particularly for indigenous people subject to land theft and to environmental contaminants, UN declarations are non-binding and unenforceable. Nonetheless, Anglo-Saxon democracies were the last to sign. The importance of “informed consent” derives from the infamous longitudinal Tuskegee syphilis experiments on Black men who were not informed that they would not be treated for syphilis even though treatments were available. In practice, informed consent has been turned on its head as it is often configured to protect power. Indigenous consent is obstructed by many loopholes: the state’s claim of eminent domain, the Doctrine of Discovery justifying European expropriation of supposedly “empty” land (terra nullius), a clause of Canada’s Delgamuukw ruling on Aboriginal title that allows the Canadian government to infringe on title under specific circumstances, the Carter doctrine asserting U.S. entitlement to Canadian resources for national security purposes, trade agreements that pre-empt national laws, the Canadian Mining Act which “does not require that the holder of an exploration permit inform property owners of its existence … and that the permit can be acquired via the Internet with a simple click [so] that First Nations, property owners, and municipalities are ever informed or forewarned of the acquisition of a land claim on their land or territory.”2 The Canadian National Energy Board is made up of industry people whose consultations with Indigenous people and the general public are minimal. CPP investments are also opaque. Private equities have privacy protections, ostensibly to protect trade secrets. The Canadian Pension Plan is a major investor in Imperial Oil, with its tar sands operations, pipelines, and refineries wreaking destruction on indigenous communities in Canada and abroad. An investigation into the Imperial Oil refinery adjacent to the Aamjiwnaang First Nations in Sarnia, Ontario, just published on May 5th, revealed that it emits ten times more fine particulate matter, seven times more carbon monoxide, and 49 times more sulphur dioxide than the nearby Detroit plant. Imperial Oil owns four facilities within 2 to 7 km from Aamjiwnaang. Forty per cent of Canada’s petrochemical industry surrounds this small community. The water is so contaminated that it affects endocrine balance: two girls are born for every boy, and the effects on health have been substantiated by medical and legal reports and a charter challenge launched on behalf of the 800 member Aamjiwnaang community. In 2017 Imperial Oil’s flaring caused a five-hour massive explosion. Over 500 incident reports had been filed in 2014 and 2015 for spills and leaks in the Sarnia area: yet only one public warning had been issued through the municipality’s alert system. The government has still not installed an effective monitoring and warning system. The former president and CEO of the CPPIB, Mark Wiseman, was also “bullish on the fossil fuel sector.” Wiseman recently left the CPP to join his wife at BlackRock, the world’s largest investment manager. A Code Pink petition states that BlackRock is “making a killing on killing!” with its investments in Lockheed, Raytheon, Northrop Grunman, Elbit, and General Dynamics – exactly the same investments as the CPP. The current head of CPPIB is Heather Munroe-Blum. She is Principal and Vice-Chancellor of McGill University and her directorships include the Association of American Universities, the Conference Board of Canada, Rio Tinto, CGI (oil and gas sector), the Royal Bank of Canada (mining). She is a vocal opponent of the academic boycott of Israeli universities. Her combined pension entitlements gave her the richest package of any university president in Canada at a time when Quebec universities were being asked to absorb $124-million in cuts. The main variables in providing social security have been whether to provide universal or selective coverage, to what degree it should be publicly funded, and the sources of funding. Traditional communities characteristically developed a range of ways to care for their members, whereas nation states came late, if at all, to take on social security, and originally only for selected groups like military men or senior state functionaries. “It was not until the epoch of the French Revolution and its Declaration of the Rights of Man and the Citizen that the first proposals were heard for the paying of pensions as of right to all citizens who had reached an advanced age and were in want.” It was the “unlikely executor of the social legacy of French republicanism … Otto von Bismarck, who established the first universal pension system in 1889.”4 The modest 1935 U.S. Social Security Act provided a minimal benefit. Initially it did not cover non-waged women’s work or Black people. Its strengths were that it was a federal program, that it was comprehensive and not voluntary, and that it had its own autonomous administration. Despite hopes that social security would be a stepping stone to a socialized society, insufficient benefits necessitated supplementary pensions. From the 1970s, pension fund managers took advantage of the erosion of New Deal protections and of the inflow of capital from abroad,5 and by the 1990s pension funds became a powerful driver of financialization. The trajectory has been from state responsibility for universal benefits at one end, to private pension funds based on individual contributions. In the cases of the Enron and Nortel Network bankruptcies, pensioners took huge losses as their plans were not guaranteed, and money from asset sales were prioritized for paying legal fees, creditors, and fund managers. Currently, divestment victories are politically significant and a result of public pressure. Unlike corporate shareholders and coop members, contributors to pension plans do not have a vote. System change is urgent: fossil fuel impacts are already transforming ocean circulation, the jet stream, even the stratosphere, and are amplifying positive feedbacks. An adequate social security system at this calamitous time needs to go beyond monetary benefits, to go beyond mere reform, and ensure across national borders housing, food, and healthcare for all. It is intolerable that the knowledge- and morally- compromised few “bank on death” of the majority human population. Kevin Skerrett, “Canada’s Public Pension Funds: The ‘New Masters of the (Neoliberal) Universe’,” in Kevin Skerrett, et al., eds., The Contradictions of Pension Fund Capitalism Ithaca: Cornell University Press, 2017, p. 122. Alain Deneault and William Sacher, Imperial Canada Inc: Legal Haven of Choice for the World’s Mining Industries Vancouver: Talonbooks, 2012, pp. 146-47. Andrew Nikiforuk, Slick Water: Fracking and One Insider’s Stand Against the World’s Most Powerful Industry Berkeley: Greystone Books, 2015. Robin Blackburn, Banking on Death New York: Verso, 2002, pp. 39-47. Leo Panitch and Sam Gindin, The Making of Global Capitalism: The Political Economy of American Empire New York: Verso, 2013, pp. 175ff. Johanna Westar and Anil Verma, “Labor’s Voice on Pension Boards,” in The Contradictions of Pension Fund Capitalism , pp. 186-87. Skerrett, “Canada’s Public Pension Funds,” p. 133.